Receive an annual home loan refund cheque on your new or re-financed home loan. 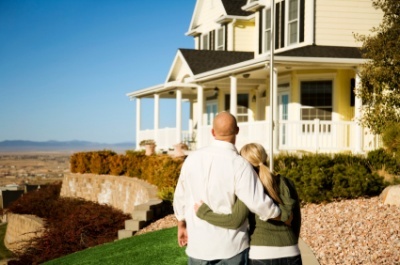 As with other financial products, trailing commissions are generated by most home loans. These trailing commissions are paid by the banks to mortgage brokers as an incentive for them to provide more business to the banks. The amount of trailing commissions paid to mortgage brokers varies but is usually 0.15% - 0.20% of the loan balance. When you go directly to the bank for your home loan, the bank simply doesn't have to pay any commissions to a mortgage broker and your loan becomes more profitable for them. By establishing or refinancing your home loan with iRefund, we will collect the trailing commissions paid to morgage brokers on your behalf and refund them back to you. As the average home loan is substantial, so to is the trailing commissions on the loan and therefore the amount that can be refunded to YOU – the borrower. The below table demonstrates the trailing commissions able to be collected and refunded to you each year. The iRefund home loan broking service, is provided at no cost to you, and will result in either the same or a better interest rate than you are currently paying on your existing home loan. IN ADDITION YOU WILL UNLOCK THE TRAILING COMMISSIONS PAID ON YOUR HOME LOAN. The result will be more money in your pocket and less for the bank's profit. Please complete the home loan enquiry form below and press "submit". An iRefund representative will contact you to talk about your individual situation and arrange for you to receive your annual home loan refund.